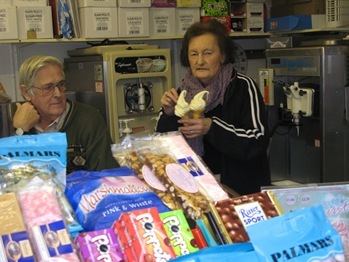 I recently chanced upon a fantastic ice cream kiosk in West Bay, Dorset, manned by twinkly husband and wife team, Margaret and John. 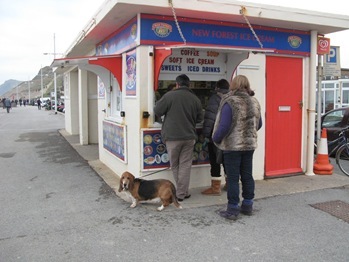 They’ve been selling ice cream in this very spot for the past 42 years, whatever the weather. (I think the Bassett Hound wants an ice cream). I didn’t really need an ice cream that day – I’d been festively overdoing it for at least two weeks, grabbing at hunks of cake, cheese and fistfuls of chocolate as though they were the only three food groups left on the planet. 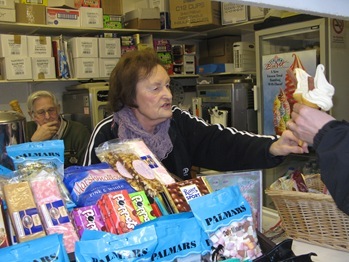 But I couldn’t resist a peek at the ice creams, despite being three shades away from developing gout, to have a browse and a chat with Margaret. 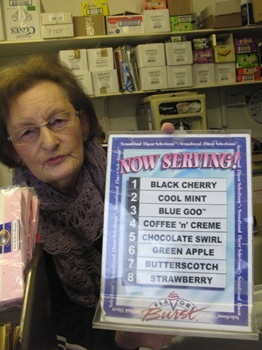 “We’ve been selling ice cream here for 42 years,” she said in a tiny birdlike voice. 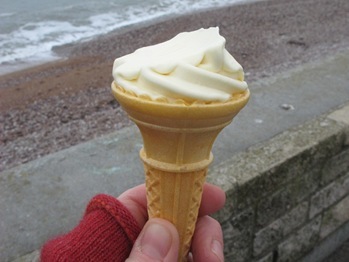 “We were with Wall’s for years, but when they got taken over by Unilever, they stopped sending their reps round, so we now get our ice cream from a small family business who make it in the New Forest instead.” Hurrah for them, I say! I totally fell in love with this kiosk – it felt like a portal to happy bygone seaside days of the 1950s (just in my head, mind – I wasn’t alive then!). But of course, when I asked Margaret and John whether they’d be happy with me taking their photographs, she laughed: “What are you going to do with them, put them up on the internet?” Hah! Seriously, what better thing to do on a blustery and freezing cold day in January than to stroll down the beachside in West Bay and buy a ‘99 and a cup of tea from Margaret and John? This might be a dumb question, but how IS soft serve made? 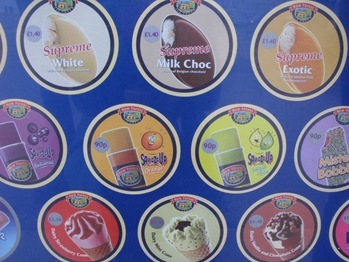 How is it different from normal icecream? Hey Pip, I'm not 100% sure – but I have heard that regular 99 ice cream contains very little that you would enjoy knowing about. Basically lots of potato starch, gelatine, E numbers galore. Not even sure it has real dairy in it. Has a bit of a nasty mouth feel and aftertaste sometimes. 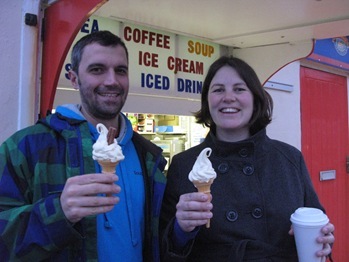 And just from the taste of the New Forest Ice Cream at John and Margaret's stall, I could taste real proper ingredients. No idea how they keep it soft, though! Anyone out there know?